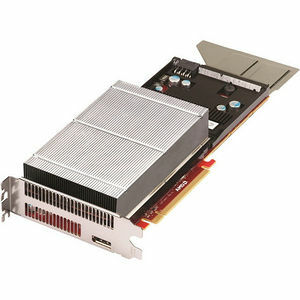 AMD FireProTM S9000 is AMD's second generation multifunctional server graphics card, and its most powerful card aimed at high density VDI deployment, high performance compute and high performance for workstation applications in a server environment. AMD FireProTM S9000 is a high density remoteFX solution for both Windows Server 2008 and Server 2012 . It also supports direct GPU pass-through for both Citrix XenServer and VMware ESXi and ESX, enable a server outfitted with multiple GPUs to power multiple virtual desktops from the data center (one GPU per virtual desktop).